In January, when the next president takes office, our eight Supreme Court justices will range in age from 56 to 83, with an average age of 69. 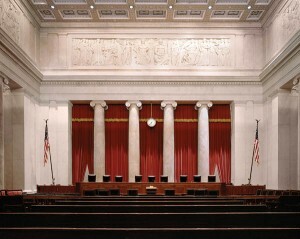 Four of the eight—Chief Justice John Roberts and Justices Samuel Alito, Anthony Kennedy, and Clarence Thomas—joined the late Justice Antonin Scalia’s majority opinion in District of Columbia v. Heller (2008), recognizing that the Second Amendment protects an individual right to keep a handgun in the home for protection. They, along with Justice Scalia, also formed the majority in McDonald v. Chicago (2010), which applied Heller to the states. Justices Stephen Breyer and Ruth Bader Ginsburg, both nominated to the Court by President Bill Clinton, dissented in Heller and McDonald, and Ginsburg has said that Heller should be overturned. The former president of Handgun Control, Inc. (today the Brady Campaign), has produced a BLUEPRINT to do precisely that. Justice Sonia Sotomayor, appointed by President Barack Obama after Heller, joined Breyer’s dissenting opinion in McDonald, claiming there is “nothing in the Second Amendment’s text, history, or underlying rationale . . . to protect the keeping and bearing of arms for private self-defense purposes.” Justice Elena Kagan, appointed by Obama after Heller and McDonald, was Associate White House Counsel for President Bill Clinton in 1995 and 1996, and assisted his efforts to impose gun control. 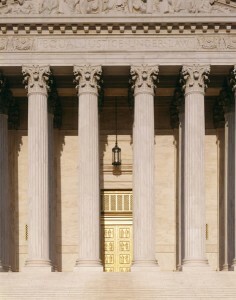 With the Court evenly divided on the Second Amendment, future appointments to the Court will determine whether Heller is overturned, limited to nothing more than the possession of a handgun for protection within the home, or expanded to expressly protect the right to keep and bear all arms that are necessary for the entire range of defensive purposes, as the Framers of the Bill of Rights intended. However, as New York Times Supreme Court correspondent Adam Liptak said last week, even a one-vote shift in the make-up of the Court “would almost certainly reshape American law and American life.” And Liptak quoted several law professors saying essentially the same thing. That assessment is premised on a single four-year presidential term, of course. But the last three U.S. presidents, and five of the last seven, have been elected to two terms. Given the ages of the justices currently on the Court, it is conceivable that the next president, over a period of eight years, could appoint a majority of the Court’s nine members. Given the heated exchanges that have taken place in this year’s presidential debates, it might seem that there isn’t a lot that all of the candidates agree on. And it might thus be inferred that the same thing could be said about the candidates’ advocates. For example, supporters of Sen. Bernie Sanders booed Hillary Clinton after the recent Democrat caucuses in Nevada. However, there are things upon which all of us who support the Second Amendment can agree. First, Hillary Clinton cannot be given the opportunity to determine the make-up of the Supreme Court, and the same can be said for Bernie Sanders. Regardless of who gets their party’s nomination for president, we must rally on Election Day behind their Republican opponent, whoever he may be. And second, we must vote for a Senate that will approve only those nominees that can be relied upon to read the Constitution in the spirit in which it was written. When times are tough, as they certainly have been with Barack Obama in the White House, some people succumb to the temptation to dwell upon gloom-and-doom and worst-case scenarios, but this is an election year where gun owners can make all the difference. If we succeed on Election Day–if we turn out to vote in unprecedented numbers–we, not our adversaries, will determine the course our country will take in the days, months and years ahead. 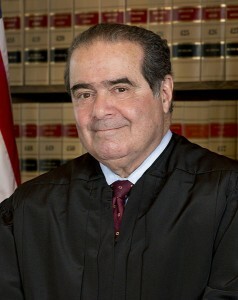 Bearing in mind that Justice Scalia served 30 years on the Court, and four current justices still have each served over 20 years, a pro-Second Amendment president and Senate could establish a solid pro-Second Amendment majority on the Court for more than a generation to come. Along with popular opinion shifting strongly in favor of gun ownership rights, victory in the upcoming elections could deliver gun control supporters a defeat from which they might never fully recover. That would be a victory of which we could be proud, and for which our children and grandchildren would be eternally grateful.